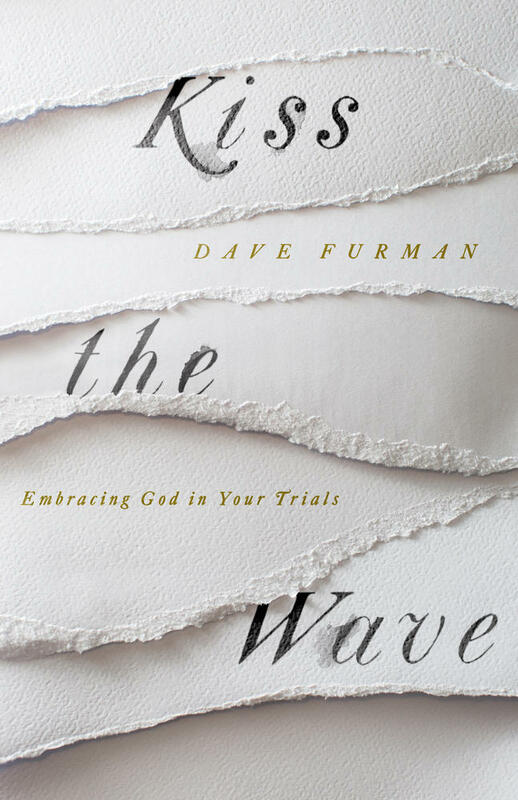 Even the achieving of those dubious goals does not (thankfully) fully protect us from the “slings and arrows of outrageous fortune.”2 It is better to expect what we are promised in Scripture in the form of unwanted and (hopefully) undeserved suffering. Otherwise, we risk being surprised by that very thing about which we have been repeatedly warned (1 Peter 4:12). 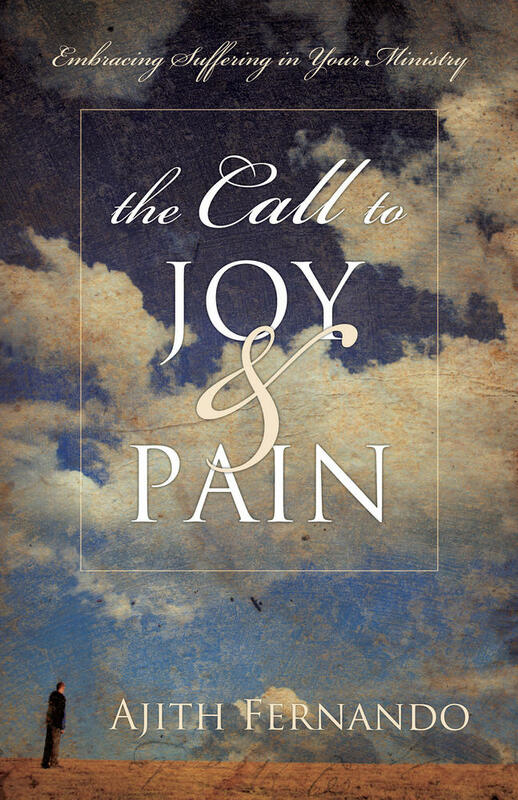 Depression can be quite as fiery a trial as any other, and will be if we imagine that we “shall never be moved.” The good news—outlined explicitly in this same Psalm—is that God does indeed hear the cry of the afflicted, and he does answer those cries with deliverance that ends with mourning turned into dancing and songs of praise. Even if I do not experience depression myself, thinking that I avoid it because it is an impossibility does not equip me to be particularly sympathetic towards those who do suffer. In fact, very many people are significantly depressed at some point in life, sometimes as a result of serious medical illness, sad circumstances, or for no apparent reason at all. If we are led into the suffering which Scripture promises, we must trust God to lead us through it in ways of his choosing. If we are led into the suffering which Scripture promises, we must trust God to lead us through it in ways of his choosing. Myth #2: It’s all in my mind. Well, if you happen to be a disembodied spirit, maybe so. I’m inclined to say that our minds are (presently) all in our bodies. Show me a mind without a body, and I’ll show you a body without a mind. Who we are is defined by what we are: living souls (1 Corinthians 15:45). While spirit and body may be distinguished, they cannot (at least in this life) be separated (James 2:26). References in Scripture to their separation (as opposed to emphasis on one aspect of ourselves) do, as far as I can make out, refer to the afterlife (e.g., 1 Samuel 28, which describes the unlawful summoning of Samuel from his “rest” after death by Saul). Now, there are synonymous as well as overlapping terms in Scripture for heart, soul, spirit, and mind, yet entire theologies have been based upon eisegetical renderings of that single verse in Scripture which references “spirit and soul and body” (1 Thessalonians 5:23) as if it were an anatomy lesson rather than the comprehensive benediction intended by Paul! So what? Well, for starters, if you are depressed, it usually affects your body in terms of sleep, energy, appetite, and sense of well-being. 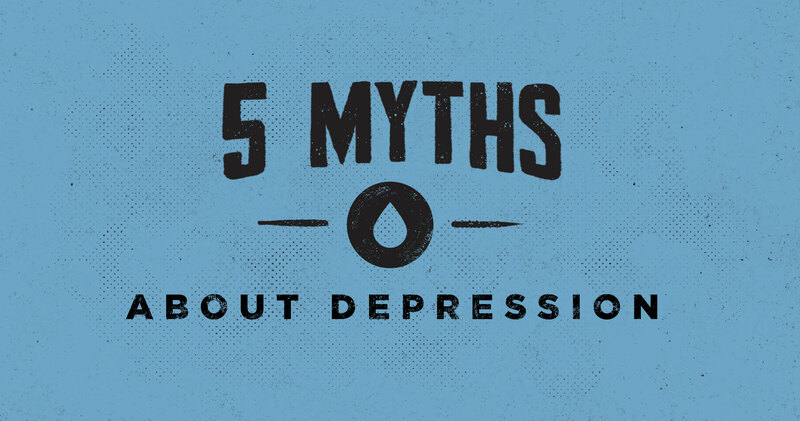 On the other hand, sometimes depression is an effect of poor bodily health in one or more ways. A quick example is untreated obstructive sleep apnea. This condition, especially in severe forms, degrades sleep in terms of both quantity and quality. Much of the night is spent actually waking from sleep and falling asleep again and again, so that what is known as sleep efficiency is very low. In addition, the actual sleep itself is shallow and non-restorative. If you’ve ever gone without sleep for an extended period, you will realize how miserable it makes you in almost every way: concentration is poor, judgment is impaired, fatigue slows down action, and irritability rises. And this is for non-depressed individuals. Our minds are “housed” in our bodies and not disconnected functionally or mechanically from them. We tend to “sense” ourselves as being centered in our “heads” but, when we face unexpectedly sorrowful news, our “hearts” ache and our center seems to have somehow shifted. Our brains and the other aspects of our selves that think and feel and know are all part of one body. The reason that Paul could use the body as a metaphor for unity as opposed to division when discussing the church is that the body really is a unity. One. Myth #3: I definitely don’t need medication. “That medication made me feel like a zombie!” is the most common complaint I receive from patients entering my care from treatment elsewhere. Undoing a bad experience with medications can be a challenge and my initial response is to offer assurances that my salary is not based on how much or even whether or not I prescribe medication, and that I do not own any pharmaceutical company’s stock. I go on to say that medications are not always indicated, and that I have in my career done a substantial amount of un-prescribing of medications that were either a poor fit for a patient’s symptom profile or were prescribed in doses higher than necessary or in combination with such a large number of other medications as to make it difficult to know which was doing what, in terms of both intended effects as well as unwanted side effects. I advise that it is as important to avoid taking too little medication as it is to avoid too much. If none is indicated, then any is too much. However, it is also true that if any is indicated, then none is too little. “Just the right dose,” as my mentor3 used to say, is what is needed. 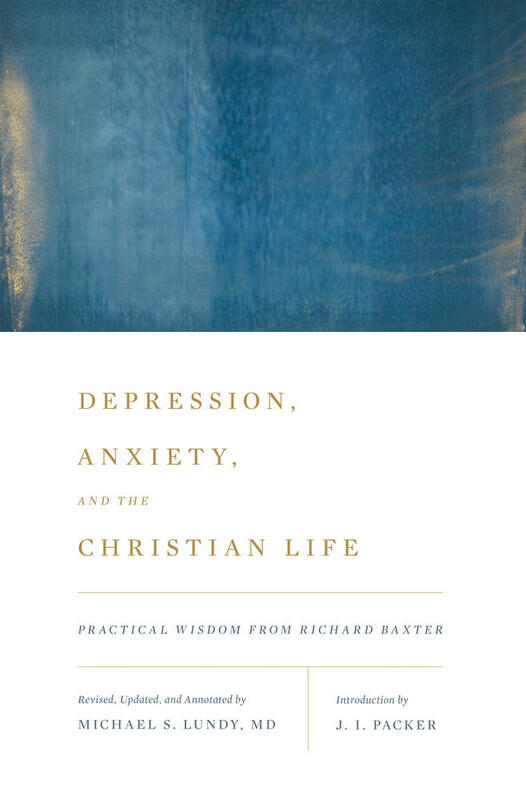 This book presents 17th-century pastor Richard Baxter’s wise, gentle advice to comfort and strengthen all who struggle with depression or know someone who does. I continue by stating that medication is very often helpful and regularly necessary for recovery from depression, though it is not—alone—as often sufficient for it. Other interventions are commonly needed as well. For example, Cognitive Behavioral Therapy (CBT) is a formalized approach to identifying false assumptions, modifying them, and then testing the new assumptions through changes in behavior. As powerful as CBT has proven to be, properly undertaken, it is a rigorous and sometimes very difficult treatment. Many individuals require medication before they are able to engage successfully in CBT, in order to establish a platform of affective (i.e., emotional) stability which can be positively exploited via CBT. But reluctance to taking medication is quite common and hardly new. I think it helpful to consider medication as one of the several means which God may use to bring about healing. Can God heal by direct intervention with no intermediary? Certainly. He does. Are we free to demand that he do so? Certainly not. There are too many Scriptural examples of God’s use of means to bring about healing, and while I do not imply that each is a form of medication, some are. Hezekiah, after praying for healing and being told that his prayer would be answered, is then treated with a cake of figs (Isaiah 38: 21). It is notable, I believe, that Isaiah’s directions regarding what we might call a “poultice” included a very specific rationale: “that he may recover.” Thus, while God had already promised Hezekiah healing, the means which he used included a primitive form of medicine. Similarly, the Syrian Naaman was told to bathe in the river Jordan so he could be healed of leprosy (2 Kings 5). He did and was. While Jesus healed the Roman centurion’s child with a bare command, he healed at least one blind man by applying mud to his eyes and sending him to wash in a certain pool (John 9:7). Paul instructed Timothy on how to treat his stomach and other frequent ailments using wine (1 Timothy 5:23). Could any of these been healed had they refused the means set forth for their healing? I doubt it, and we know that Naaman nearly missed his. James, of course, issues a multi-part “rubric” for healing of the sick: calling the elders, confessing of sin, anointing with oil, and praying with faith. Dare we omit any of these means out and just take our chances? Myth #4: There is nothing I can do. 仕方がない, transliterated as “shikata-ga-nai,” is Japanese for “there is nothing you can do.”5 It represents a posture of despair. As Christians, we have hope, and we need to resist despair in light of that hope. We may fully expect to be “afflicted in every way, but not [finally] crushed; perplexed but not driven to despair” (2 Corinthians 4:8–9). Gandalf, one of my favorite quotable characters who exists only but no less vividly in the minds of readers, said “despair is only for those who see the end beyond all doubt. We do not.”6 It is a temptation to think that we do when we do not, and to see an evil end when God has something quite different in mind and in store. Yet, it is a temptation to which most—if not all—of us are vulnerable. Despair is, in a sense, the ultimate form of unbelief, and is the sin behind many other sins, including the sin of presumption which says, “It can’t get any worse than this,” when in fact it can get worse and almost certainly will if we act on that presumption. Despair denies God’s greatness and his goodness, and sets at naught so many promises of Scripture as to make counting them nigh to impossible. The psalmist Asaph found himself in this position when he “envied the arrogant” (Psalm 73) and it led to a vexation of his spirit. He didn’t know what to make of it. Why was he suffering so when those around him ignored God and seemed better off for so doing? He did realize that giving public voice to his suspicions (as we are prone to do in the midst of our own sufferings) would have betrayed his fellow believers. How so? By encouraging others to adopt the same cynicism. It would be unfair to call Asaph’s cynicism “easy,” as he came to it after serious and sincere reflection. Yet, he was left with no clear explanations. None, that is, until he received an epiphany, or a “realization” as it is sometimes understood. But it is better to look at where this occurred before we look at what it was. He “went into the sanctuary of God.” It is in the midst of corporate worship that God revealed to Asaph the mystery which had until then eluded him. When we are inclined to think “there is nothing you can do,” we don’t need to understand Japanese to refute this. There is plenty that can be done. One thing—and a very important thing—is to continue to go to church and worship there along with the rest of God’s people, which is where we should expect to encounter the One who can do something. We are specifically enjoined to do so in Hebrews, and forbidden explicitly from doing otherwise (Hebrews 10:25). Even when we are at our wit’s end—or especially when we are—we should go to church and participate as best we can, and expect to find encouragement there as the verse in Hebrews explicitly links corporate worship with encouragement. There are, indeed, plenty of other things that you can do; but don’t neglect this fundamental one, as it is likely to lead to others, such as visiting your physician, talking with your spouse and friends and pastors, and even taking medication, if so indicated. So, “there is plenty you can do.” And some things that you must do. Myth #5: Nobody knows the trouble I've seen. One of the most dangerous attitudes I encounter is one which is almost intrinsic to depression: isolating self-pity. Now, most of us engage in this from time to time, and a little “licking of one’s own wounds,” so to speak, is not always a bad thing. But when it leads to the sort of isolation which defies the comfort extended by friends and family, it is a bad thing indeed. And when it goes further than that—and it regularly does—it can become implicitly (if unintentionally) blasphemous in quality. With regard to that comfort offered by friends: it may be dismissed by an angry, “You have no idea what I’m going through!” That statement may be perfectly true, but it does not mean that comfort is not intended or available from that source. When we demand identity from a would-be comforter as a prerequisite qualification, we go quite against Scripture and common sense. We do not demand that a surgeon suffer appendicitis before we allow him to remove our ruptured one, nor would one refuse treatment for diabetes from an internist not so afflicted. Practical compassion does something concrete to alleviate suffering. Yet, we also crave and need empathy. We want to be understood, and often mistakenly believe that we cannot be adequately understood by someone who has not suffered similarly. This may be accurate in context and in proper proportion, which explains the value of support groups for cancer survivors or those with PTSD. It is helpful to have someone know how we feel, though that emotional knowledge does not necessarily bring the help we need. So, while some may empathize with us but not be positioned to help in a practical sense, others can appreciate or sympathize with what we endure without “feeling” it, yet be willing and able to do something about our plight. We must not ask of empathy what only sympathy can give, nor must we demand of sympathy what is afforded by empathy.7 Similarly, when we need both empathy and sympathy, we must not settle for only one or the other. Rather, we must allow that they may come from separate sources. Despair often comes in the form of a self-centered and distorted understanding of suffering. When we allow our suffering to bring us into contact with those who can offer genuine empathy but no practical sympathy, we are in danger of refusing sympathy from those we deem insufficiently empathic. 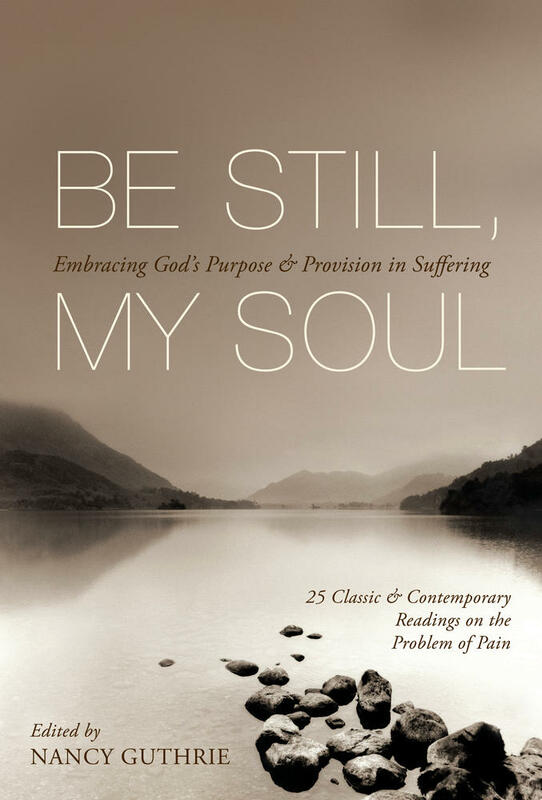 It is here that we do well to reflect upon the universal nature of suffering and the ability of one who has suffered in ways quite distinct from what may afflict us to offer a general form of comfort which, if properly embraced, can afford a very specific kind of strength, as the root meaning of comfort—with strength—suggests. When we begin to suspect that God neither understands nor cares, we are on dangerous ground indeed. But it is exactly here that God’s people have been tempted to stand during perplexing adversity. 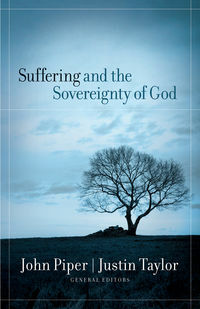 When God is seen as unfeeling and uncaring, then we are seeing him as our adversary—as someone who is withholding good when he might easily give it. How does this look historically? When the Israelites despaired, they accused God himself of deceit and malice. Despair both results in and comes from accusing God of bad faith. “Is it because there are no graves in Egypt that you have taken us away to die in the wilderness? What have you done to us in bringing us out of Egypt?” (Exodus 14:11). Implicit in this accusation is that God is both incompetent and evil, and devoid of both empathy and sympathy. When we rail against a “frowning providence,” are we not in danger of emulating their error? Handel’s adaptation of this in Messiah makes clear that there is only One Man of Sorrows, who we are told is “acquainted with grief” (Isaiah 53:3). Acquainted. What an understatement. When we are feeling alone in our own misery, we must recall that Jesus is both empathetic and sympathetic towards us, having suffered himself already on our behalf. Let us not accuse God of unkindness or lack of concern or compassion. Let us agree that his providence may indeed seem frowning, and that the “smiling face” which William Cowper references may be quite hidden from our sight.8 But let us refuse despair as unworthy of those whose God has come to save. Rather let us ask how our own sufferings might be informed by his, that we may somehow “share in his suffering” as the apostle Paul writes (Philippians 3:10). Maybe nobody knows the trouble you’ve seen but Jesus. But he really does know. Francis A. Schaeffer, How Should We Then Live? : The Rise and Decline of Western Thought and Culture, L’Abri 50th Anniversary Edition (Wheaton, IL: Crossway, 2005), 11. George E. Burch, MD (1910–1986). “A Thanksgiving for the Beginning of a Recovery,” The Book of Common Prayer (1928), 315. Makoto Fujimura, Silence and Beauty: Hidden Faith Born of Suffering (Downers Grove: InterVarsity Press, 2016). J. R. R. Tolkien, The Fellowship of the Ring (Houghton Mifflin Harcourt, 2012), 193. For a brief and useful discussion, see “Feeling Your Pain” by Michael M. Rosen, The Weekly Standard, March 17, 2017. William Cowper, “God Moves in a Mysterious Way” (1773). Michael S. Lundy (MD, Tulane University) is a practicing physician, board certified in adult and child psychiatry. He has practiced psychiatry in a variety of settings: academic, private, public, and governmental, domestically and abroad. He is an active member of All Saints Anglican Church (ACNA) in the Greater Atlanta area. He enjoys reading, writing, music, growing camellias, and watching wildlife.